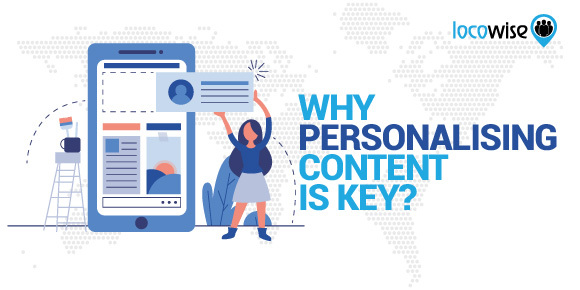 Why Personalising Content Is Key? We all know how important it is to present to your audience as a real company, a real brand that understands them and their context. But that doesn’t mean this is easy to do. In fact, many brands struggle with aiming their content towards their various demographics. It’s okay if you’re a huge company like McDonalds, you can aim it where you want. But smaller brands, and companies that have niche audiences, have to get their content just right and completely focused. It can mean the ultimate prize of a completely engaged audience that relates to the brand on social media. How is it done? Well, let’s take a look at a couple of examples first. Businesses since the beginning of modern commerce have always strived to talk to their ideal customers. They have always wanted to get to the bottom of what makes them tick. Not only does it allow for more profits in the long run as people engage, it also makes sure that a business is able to keep its customers for a long time. If you look at any of the WealthSimple content, from YouTube videos that gained hundreds of thousands of views to content on Instagram that brought in even more engagement, you’ll notice that the content is warm, human and realistic. It speaks to the average person’s concerns about money, and then subtly offers its services as a solution that could help them manage their money better. This is the perfect example of a company that knows its target audience simply does not have the level of financial expertise that ‘normal’ investors have. They’re just average people who have the same concerns about their financial futures. WealthSimple make finance and investing easy, without any jargon, so that the demographic can switch on and engage. The fear is removed. This comes across in their videos. It’s a niche market that was begging for support and help. WealthSimple created content that did away with complex terminology and graphs and charts. And the content won over people because it was personalised. When a company knows exactly what it is all about, the results can be magical. We’re not talking wizards and dragons, but we are talking brands like Bombas, which managed to gain fame quickly because it featured positively on Shark tank. That fame aside, it also has an incredibly cool brand image, one that shows a very strong understanding of the audience it is trying to reach. Basically, Bombas is all about finding a passion and then creating a huge project out of it that allows you to follow that passion. The founders of the brand realised that socks could be cool. They also realised that not everyone had the luxury of owning good socks. The group they focused on was homeless people. Every time Bombas sells a pair of socks, it donates a pair to the homeless. It’s as simple as that. This resonates with it’s audience, one that is young, hip, and committed to worthy causes. The video it created and released also featured Zac Efron, a young and hip actor with a sense of humour about himself and Hollywood in general. The video blew up on Facebook. That video and all the other marketing content that Bombas produces is aimed squarely at the demographic. It’s completely switched on as a brand. They understand what it they are all about. Therefore, the brand’s content is personalised. Girl Scouts are an American thing, and the brand is timeless. Girl Scout cookies are a huge part of American culture. However, the world has changed a lot since Girl Scouts first started going door-to-door to sell cookies. On social media, a group of Girl Scouts decided they wanted to sell some more cookies to people. So they asked their mums to post details of how to buy cookies on Facebook. It’s been harder to buy cookies in recent years in America from the Girl Scouts, and that’s probably because the Internet has changed many people into low-attention span zombies. But the demand for the cookies is still there. The Facebook post went viral, and people snapped up cookies by the bucketload, all on the strength of a simple idea: the good old days and the nostalgia behind them. Again, personalised content to an audience that identifies with a brand’s story. 1. Make sure you talk to your audience with language and a tone that they both understand and feel comfortable with. The WealthSimple videos are perfect examples of this. 2. Think carefully about the messages and the feelings that your product or service gives. Then crank it up in your social media marketing. Again, this comes across very well in the WealthSimple work. People are genuinely concerned about finances, and they don’t want jargon. Bombas don’t want a lot of pretension.They want fun and a good feeling inside. So does their audience. 3. The Girl Scout Organisation’s work was focused on the feelings that Americans have about the past. Enough said. Spend time looking at your metrics, and working out which aspect of your audience you want to reach. If your audience is divided up into a number of segments, hit them all in the most appropriate tones and ways. Metrics are the beginning of this. The three stellar examples of good social here knew their audiences inside out. Apart from surveys and phone calls, they would have looked closely at what their audiences are like on social. You can do this too. There’s never been a better time for metrics. 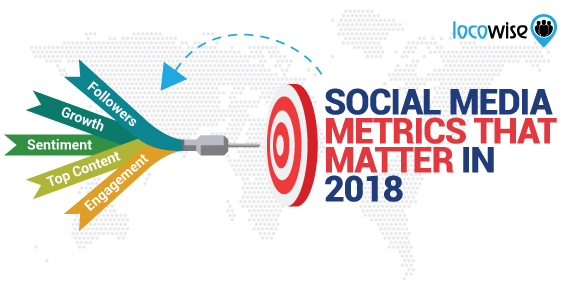 If your brand wants to connect with the people it needs to, use metrics to make it happen. No tenuous links here. If you want to be able to connect like Bombas, try out our metrics platform for seven days. We’ll let you have it for free for the week. After that, you’ll be selling more cookies than you can handle.